Kayla grew up on a farm in Wisconsin, spending her days training homing pigeons. She started Journey Dog Training when she was in college. She apprenticed at All Breed Rescue and Training, a rescue that specializes in helping behaviorally difficult dogs. She spent all of her spare time reading about animal behavior. She graduated from Colorado College with a degree in biology. After college, Kayla continued training dogs part-time while she worked for a conservation advocacy nonprofit. Around that time, she joined the International Association of Animal Behavior Consultants. She later got a job at Denver Dumb Friends League, the fourth-largest animal shelter in the U.S. There, she helped assess, train, and adopt out thousands of dogs of all shapes and sizes. You can read all about Kayla's experience in her LinkedIn or CV. She met Barley, her border collie, during her time at the shelter. They've been fast friends ever since. She and Barley dabble in the sports of obedience, herding, agility, scentwork, canicross, and skijoring. They're never far apart! 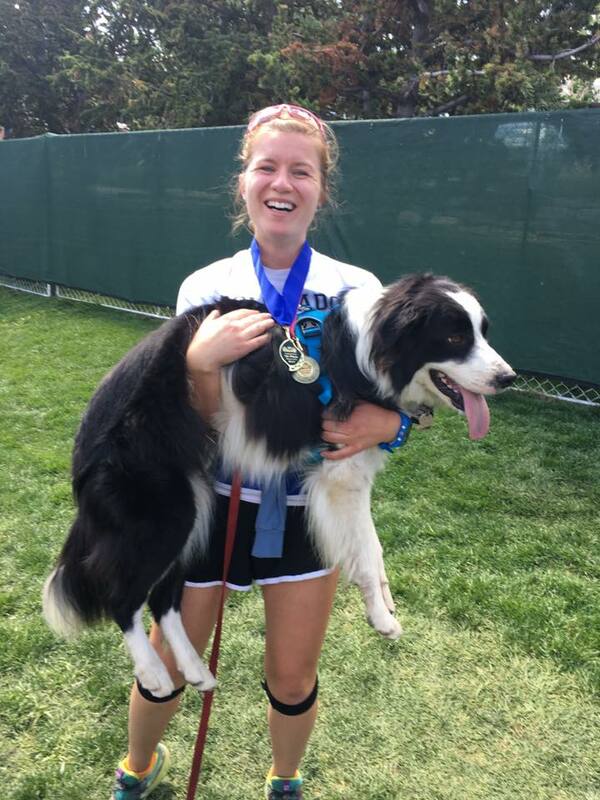 Kayla left Denver Dumb Friends League in 2018 to build Journey Dog Training and pursue work as a freelance writer, specializing in animal behavior. She currently lives out of AirBnbs and is driving the Pan-American Highway with her boyfriend and Barley. Favorite activity: Skiing, hiking, or running with Barley! Coolest training experience: Teaching a hippo to let me brush her teeth. Erin is originally from Nova scotia, Canada, where her passion began for non-human animals. Erin rode horses professionally (hunter/jumper) for 20 years throughout North America. Her interest in behaviour grew, and she expanded her knowledge and education over the years to work with sea lions, penguins, birds and dogs. Erin continues to better herself, and to challenge herself to learn as much as she can about behaviour and the human-dog relationship. She graduated with a MSc in anthrozoology—the study of human and other-than-human interactions. Erin will be embarking on her PhD in the same field of research in Canterbury, New Zealand in February 2018, and will be moving there, along with her husband, in November 2018. Along the journey, Erin also became a Certified Professional Dog Trainer (Knowledge Assessed) through the Certification Council for Professional Dog Trainers as well as a Certified Dog Behaviour Consultant through the International Association of Animal Behaviour Consultants. 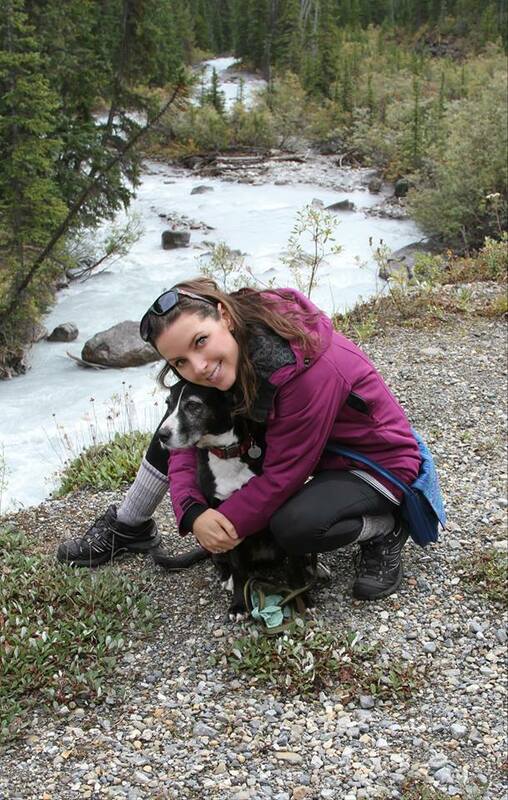 Erin’s resume consists of running her own behaviour consultation business, Merit Dog Training, working for Companion Veterinary Clinic as a consultant and working as a teaching assistant in Advanced Animal Behaviour at Dalhousie University. Erin recently lost her senior dog she adopted from the Peterborough Humane Society (Ontario, Canada) 17 years ago. Monday (affectionately known as Grandma Monday) turned 18 around August 2018. She has helped Erin hone her training skills, especially as she has aged and is faced with Canine Cognitive Dysfunction and all the behaviour changes that come with this. Erin runs our separation anxiety course and helps with remote consultations as well as writing. 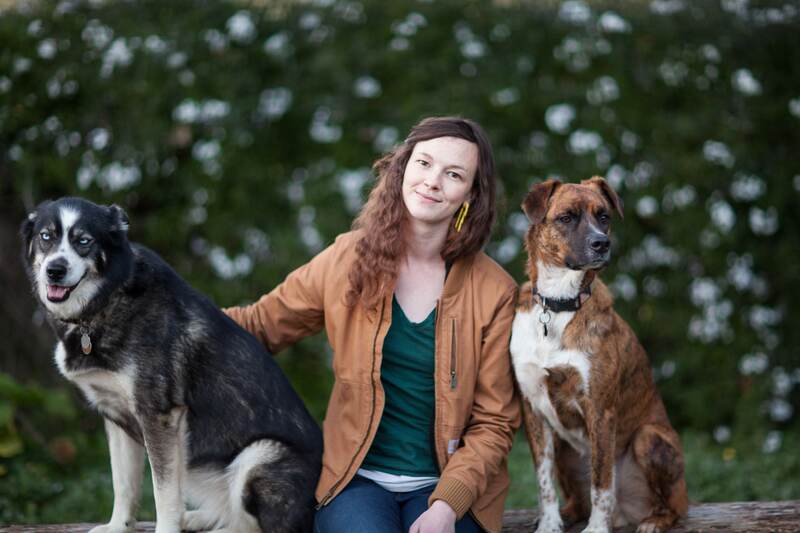 Tressa is a dog trainer and writer living in Northern California. She earned her BA in Literature with an emphasis on Creative Writing in 2013. After graduating from college, she spent six months traveling around the United States in a van with her best friend. During this time, she decided to pursue a career working with animals. Tressa got her start with positive reinforcement training working as a trainer at Unleashed by Petco while living in Southern California in 2015. Shortly after completing the Petco certification program, she enrolled in the Karen Pryor Academy Professionals program, where she earned her KPA certification in 2016 and learned an immense amount modern, science-based animal training. At the end of 2016, she moved back to her hometown and started Path & Paw, a dog training and daycare business. In 2018 she became a licensed Family Paws Parent Educator in order to better assist families in creating safe and harmonious households with both dogs and children. At this time she was also hired by the Humane Society of Sonoma County as the Enrichment Coordinator, where she creates and implements fun activities and outings for the shelter dogs, to help relieve stress and boredom. She also began teaching group training classes and workshops at the shelter and decided to phase out of daycare in order to focus on teaching, training, and working at the shelter. She lives with her husband Evan, a husky-mix named Koa, a former Tijuana street dog named Muchacho, and an adventurous cat named Dylan that also loves clicker training! When she’s not teaching or hanging out with shelter dogs, you can find her hiking with her dogs or reading books. Favorite activity: Hiking with my pups, reading. Coolest training experience: Giving families the tools they need to keep their challenging dogs. Kate is originally from Minnesota and spent her childhood raising birds, toads, cats, dogs, and wounded neighborhood animals. 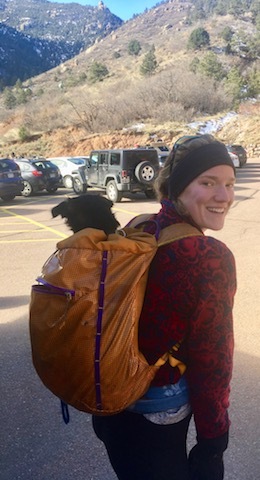 She graduated form Colorado College in 2017 with a degree in Music and works for the college as the music Paraprofession and "Official Department Dogwalker". Kate is a rock climber and it was during an extended climbing trip that she met and fell in love with her rescue dog, Peanut. Now she spends her days boulder hopping with Peanut, developing new dog recipes, and eating a lot of said treats. She began freelance writing in 2018 and loves helping people find the answers they need. Besides writing for Journey Dog Training, Kate is also a contributor for Terrain D.O.G. and loves writing about her adventures on her blog The Gobi Gazette. Training Since: Not a professional trainer but has worked extensively as an amateur with my dog Peanut. Favorite Activity: Rock climbing with my partner, JJ. Coolest Training Experience: Teaching Peanut to slab climb. Favorite Dog Training Book: I Got a Dog - What Was I Thinking? by Jake Buvala. Favorite Food: Muesli with almond milk, blueberries, pecans, cinnamon, honey, peanut butter, and protein powder. I love breakfast, what can I say! Bucket List Item: Climb two routes on The Diamond on Long's Peak in a day. Pet Peeve: When people leave the water running and they aren't using it! Fun Fact: I love to brew my own kombucha. Guilty Pleasure: 90% dark chocolate. 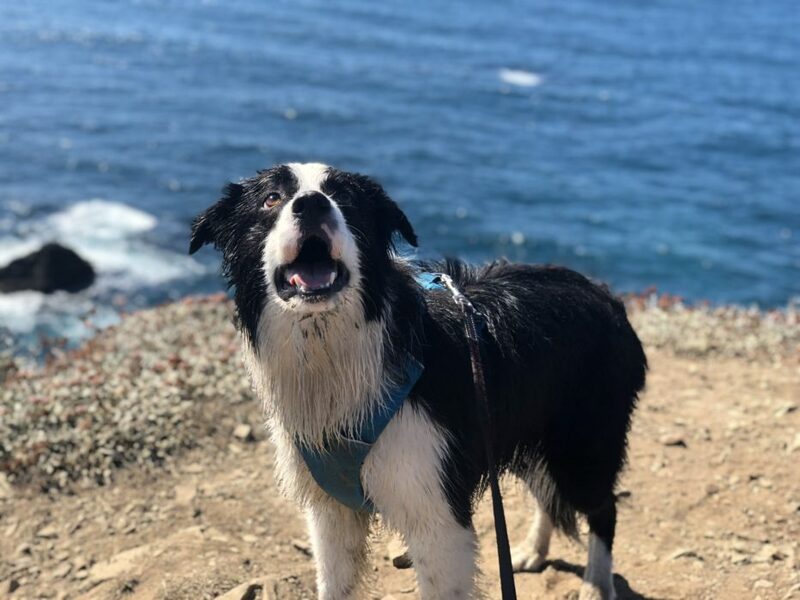 Barley is a five year old border collie who was born in Colorado. We don't know much about his childhood, but we know he was purchased in a Walmart parking lot at about six weeks old. Barley spent the first three years or so of his life with a man and the man's three children. When the man needed to move, he wasn't able to take Barley with him. He left Barley at Denver Dumb Friends League, where Kayla worked. Kayla had been looking for a dog for a while, and Barley immediately stood out. He was a bit fat and his fur was tangled, but his eyes sparkled and he LOVED the ball Kayla threw. So she took him home. Barley loves being a trainer's dog. He is excellent at diffusing aggressive and reactive dogs and is great at performing demonstration videos. He convinced Kayla to run her first marathon, and he does all of the training with her. Barley earned his Canine Good Citizen in 2018 and is an AKC Intermediate Trick Dog. He is trained to alert Andrew, Kayla's boyfriend, when peanuts are nearby. He also loves playing agility, herding, obedience, and scentwork games. He's working on learning to be a conservation detection dog. But most of all, Barley loves fetch. You can read Barley's blog here. Favorite activity: Fetch, especially in the water. Favorite dog training book: The flavored ones. Bucket list item: Trying dock diving! Pet peeve: When people put their face in my face. Fun fact: I'm missing two front teeth. Guilty pleasure: Sleeping under the bed instead of on top of it. Companion Animal Psychology: Which Dog Breeds Are the Best Alternatives to the French Bulldog? Kennel Trainer: Kayla wrote a series of articles for them. Reader's Digest: Kayla was quoted heavily in an article on "53 Mistakes Every Dog Owner Makes." Denver Dumb Friends League: Kayla worked here for two years and helped revamp their Behavior Helpline Service. She also wrote English and Spanish behavioral help packets for adopters. Ollie Blog "Dog Eared:" Should You Get Another Dog? K9 of Mine: Kayla is a regular contributor here, and write most of their dog behavior articles. How Stuff Works: Can a D-O-G Learn to S-P-E-L-L?